A recent economic study detailed the impact of Michigan’s only shipping port on Lake Erie. The Port of Monroe was responsible for more than $96 million in economic activity in 2017, a recent report states. The Great Lakes Seaway Partnership released “Economic Impacts of the Port of Monroe,” a report documenting the contributions the port has made on shipping, the City of Monroe and Great Lakes region. According to the study, the port and maritime commerce supported 1,659 jobs and $121.1 million in personal income and local consumption expenditures. Additionally, it was responsible for $38.5 million in federal and state tax revenue. LaMarre said the report is evidence that multimodal commerce is vital to the economic prosperity of our region. “At the Port of Monroe, we proudly support the mariner and Great Lakes region,” he said. Of those more than 1,600 jobs, 751 were directly generated by marine cargo and vessel activity at the marine terminals, the report said. As a result of the local and regional purchases by those individuals holding the direct jobs, an additional 574 induced jobs were supported in the regional economy. More than 330 indirect jobs were supported by $39.7 million of regional purchases by businesses supplying services at the marine terminals at the port. Throughout the state, maritime commerce generated $4.1 billion in economic activity in 2017 along supporting more than 25,000 jobs, the report said. During the year, about 59 million metric tons of cargo was handled at the ports. Of that, 1,782,479.77 metric tons came through the Port of Monroe. In the United States and Canada, maritime commerce supported nearly 240,000 jobs and generated $35 billion in economic activity. 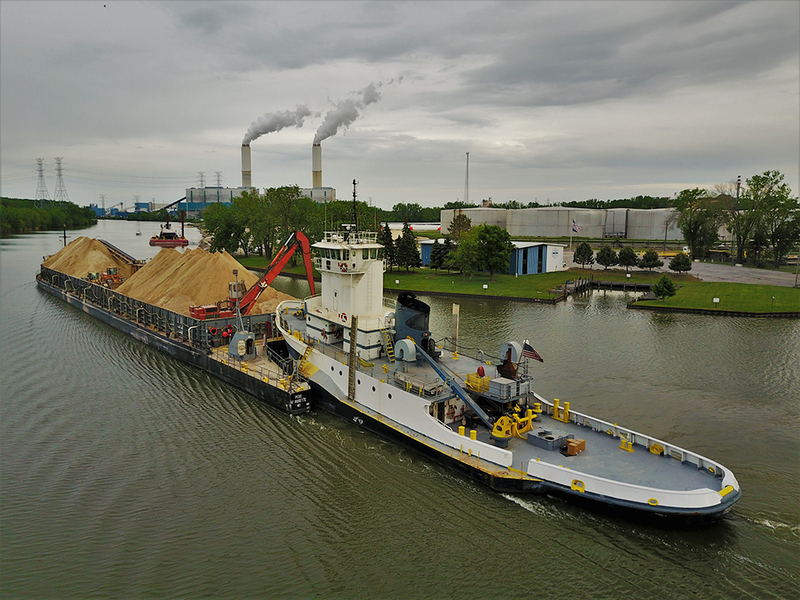 Washington, D.C. (August 3, 2018) – The Port of Monroe achieved a 123 percent growth in international tonnage in their 2017 Navigation Season on Wednesday July 25, 2018. 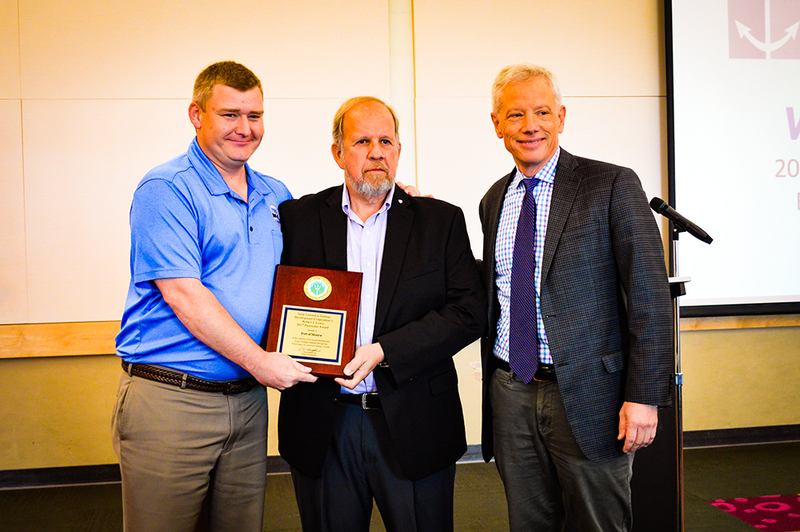 For this, the port was honored with the Robert J. Lewis Pacesetter Award from the Saint Lawrence Seaway Development Corporation (SLSDC), an agency of the U.S. Department of Transportation. Craig H. Middlebrook, Deputy Administrator of the SLSDC, presented the award to the Port of Monroe board of directors. The Port of Monroe was one of only six ports to receive the Pacesetter Award for the 2017 season. Pictured Left to Right: Paul C. LaMarre III, Director, Port of Monroe; Dr. Arthur Sulzer, Founder, Maritime Academy Charter High School of Philadelphia & Advisory Board Member, Saint Lawrence Seaway Development Corporation; Craig H. Middlebrook, Deputy Administrator, Saint Lawrence Seaway Development Corporation. Established in 1992, the SLSDC Pacesetter Award recognizes U.S. ports who have registered increases in international cargo tonnage shipped through their ports and through the St. Lawrence Seaway. Over the past 25 years, the SLSDC has distributed more than 140 Pacesetter Awards to 14 different Great Lakes/Seaway ports. The Great Lakes-St. Lawrence Seaway System is a marine highway that extends 2,300 miles from the Atlantic Ocean to the Great Lakes. Approximately 143.5 million metric tons of cargo is moved across the System on an annual basis, supporting more than 237,868 jobs and $35 billion in economic activity. 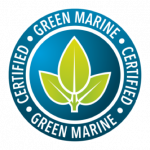 For more information, please visit http://www.greatlakesseaway.org.